Each casino above will work just fine on a Linux computer, as long as you follow the instructions listed below. Also, each Linux-compatible casino offers a sign up bonus to encourage you to sign up and play. By using the blue links above, you automatically qualify for each respective sign up bonus at the Linux casinos. The simplest method for playing casino games on a Linux computer is to use a casino's "instant-play" version. All online casinos offer two forms of their casino: the instant play casino and the fully downloadable casino. If you choose to use the instant play casino, you don't have to download any software - you play the games in your Internet browser. Unless you are completely set on using the fully downloadable casino software, we highly suggest using the instant play casino software as it is by far the simplest option. To get started, we recommend visiting BovadaCasino.com as they have the best instant casino. The first step is to download the Wine software by using this link. Choose the appropriate software package for your computer and download the package. Now you have to use WineTools to install and setup the Wine program. Also, you need to install the Windows system programs as well as the TrueType core fonts. Now you need to download a casino's software. We recommend downloading the Bovada Casino software because their program runs will on Linux computers. To do this, visit BovadaCasino.com and click "download our casino software". Once you click the download link, a box will pop up asking if you would like to save "Smartdownload.exe" - click yes. Now that you have downloaded the software, you need to install it. To do this, you need to run the command that will start the installation. For the Bovada Casino file, the command is wine /tmp/Smartdownload.exe (if you downloaded a different casino, change the last portion of the command as necessary). The installation will now start, and you simply have to click "Next" until it is done. NOTE - make sure you are installing the casino to your C:\ drive. You are almost there. Reboot wine by using the command wineboot, and now you can use your casino software and start playing. 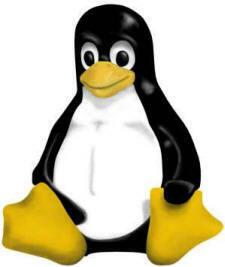 The final option Linux players have for downloading a .exe casino is to install Windows onto your Linux computer. This gets really complicated and is beyond the scope of our website, so we recommend visiting APCMag.com to learn how to dual-boot Windows and Linux. Copyright � 2009 InternetCasino.org All Rights Reserved.